Mothers raising a teenage daughter can be a blessing and be frustrating at times. Below are some reminders in supporting your relationship with her and for yourself as she becomes a young adult. How to balance her pulling away and yet still needing you. You want her to be a confident and self-assured young woman at the same time remembering you are more than a mom. You are a woman and have other roles as a partner, friend, daughter and/or sister, so your needs are important too. Give your daughter the freedom to fail and learn from her experience. Listen without shaming or judging when she wants to share, but don’t intrude. On the other hand, be open and honest with her, but also remember that she’s not your support system. You need to speak to other adults for you. Being clear about the rules you do set makes it easier to enforce them when necessary. Being open to hearing about any topic makes it easier for your daughter to come to you for guidance. This is especially important as she deals with peer pressure and sorts out her own values. Seek to understand and stay curious. Raging adolescent hormones may be behind some of your daughter’s moods and behaviors. If you’re in perimenopause, they may be behind yours, too. Don’t underestimate the impact of any grief you may be feeling when you think of your daughter leaving home or other feelings that may make this time challenging for you. Give yourself permission to feel your emotions and find coping skills that work in managing them. Reconnect with your own hopes and dreams. Filling your time with something you’re passionate about will make it easier for you to transition when your daughter is no longer under your roof. Until then, it models healthy behavior for her. Your girlfriends can be a great source of support and fun, and your daughter will see the benefits of having healthy relationships with other women. A support system is important for mothers/women. 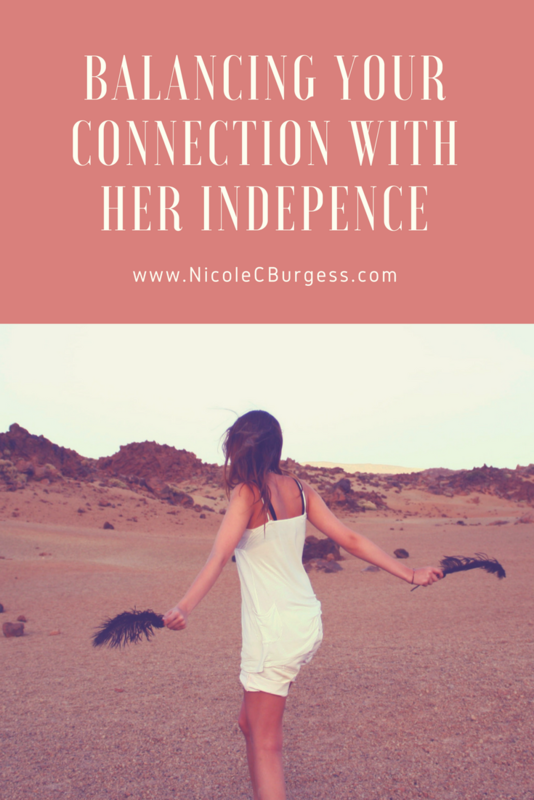 Nicole works with teen girls and women in overcoming anxiety, perfectionism and rediscovering joy. She offers both office and online therapy sessions for Indiana and California residents. Her coaching services are available worldwide.